PT Bank Mega Tbk is a local Indonesian bank, first established as Bank Karman in 1969. In 1992 Bank Karman was acquired by PARA GROUP and changed its name to PT Bank Mega. In 2000 it became publicly listed company after Initial Public Offering in Jakarta Stock Exchange and later known as PT Bank Mega Tbk. (Bank Mega). 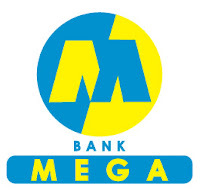 Bank Mega has secured a license to operate as foreign exchange bank since January 2001 Bank Mega focused services in retail business. Supported by 313 branches with 732 ATMs, it serves retail customers 650.000 throughout all Indonesia’s region. The two main key businesses Bank Mega engaged in are, Consumer, Retail banking specializes in small medium enterprise and Commercial Banking. In cooperation with Card Marketing Support & Card Promotion Social Media in making design programs / products Mega Bank which is not included in the scope of cooperation with the Advertising Agency. Assist Card Marketing Support & Card Promotion Social Media in creating design for product / program Mega Bank credit card which is not included in the scope of cooperation with the Advertising Agency. Bachelor's Degree, Advertising / Media, Art / Design / Creative Multimedia or equivalent.